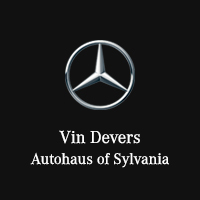 Vin Devers Autohaus of Sylvania has had a passion for building caring relationships with our clients since 1956. This principal value delivers a premier, unique and pleasurable experience which is the cornerstone of our foundation. We pledge to continue to build a Standard of Excellence inspired by a relentless pursuit for exceeding expectations. Vin Devers Autohaus of Sylvania has been family owned and opperated for over 60 years. Vincent Devers got his start as a tool-and-dye maker before transitioning into car sales. That led to an opportunity to take over a struggling Plymouth dealership. Today we are proud to be a luxury Mercedes-Benz dealership with three generations of our family dedicated to helping Sylvania, Toledo, Perrysburg, Maumee, Waterville, and Monroe Michigan find their next vehicle. When you visit our dealership, you’ll be treated to a friendly and professional atmosphere, which is what we proudly call the “Devers Difference”. Shop without any pressure as you browse through the latest new Mercedes-Benz vehicles, including the C-Class sedan, the CLA Coupe, the GLA SUV, and the SLC roadster; we’ll be happy to let you test drive any vehicle in stock. In addition, Vin Devers Autohaus of Sylvania carries a wide range of pre-owned luxury vehicles from many different automakers. Once you’ve found the model right for you, our finance department will be happy to help you secure an auto loan quickly at a competitive rate. After you’ve driven off, our team is always here to help at our service center. We employ certified Mercedes-Benz technicians that can take care of any maintenance or repairs. At our dealership, we use only OEM parts and also sell Mercedes-Benz accessories. We’re proud to have been a part of the local Sylvania and Toledo community for over 60 years and want to do everything we can to make your car buying experience a great one. Please contact us online or give us a call at (888) 851-3324 if there’s anything we can do. When you’re ready, our team is looking forward to giving you the red carpet Devers Difference experience at 5570 Monroe Street here in Sylvania, OH.